In seeking release on bond for their client, Oliver Schmidt's attorneys proposed posting more than $1.6 million in potentially forfeitable assets. DETROIT -- Oliver Schmidt, the Volkswagen executive incarcerated in the U.S. since January when he tried to return to his native Germany after a Florida vacation, will remain in custody until his trial early next year for 11 felonies tied to the company’s emissions violations, a federal judge said Thursday. Schmidt, 48, appeared before Judge Sean Cox in U.S. District Court in Detroit for a hearing on his motion to be released on bond pending his trial. He has been behind bars since he was arrested Jan. 7 at Miami International Airport and charged for his alleged role in Volkswagen’s ongoing diesel emissions scandal. When he was arrested, Schmidt was held and detained as an extreme flight risk, a decision that Cox affirmed Thursday. “I do appreciate the situation Mr. Schmidt finds himself in. But this is a very, very serious case. The allegations of fraud and conspiracy in this case are very, very serious,” Cox said after the 70-minute hearing. “The court believes that there’s no condition or combination of conditions,” that would ensure Schmidt would appear for trial. In addition to the decision to keep Schmidt behind bars, Cox postponed Schmidt’s trial until January 2018 on a defense motion. The trial had previously been scheduled to begin April 18. In seeking release on bond for their client, Schmidt’s attorneys proposed a combination of more than $1.6 million in potentially forfeitable assets -- including those belonging to the VW executive’s family in Germany and friends in the U.S. -- to ensure he appeared for trial. They proposed placing the German citizen in a home in the Detroit suburb of Rochester, with electronic monitoring, as well as the surrender of his German passport. Last month, as he was arraigned, Schmidt attorney David DuMouchel asked that his client be transferred to a federal prison in nearby Milan, Michigan, where he could have access to a computer. However, he has remained detained in a nearby county jail. Cox did say that he would order Schmidt moved to Milan. 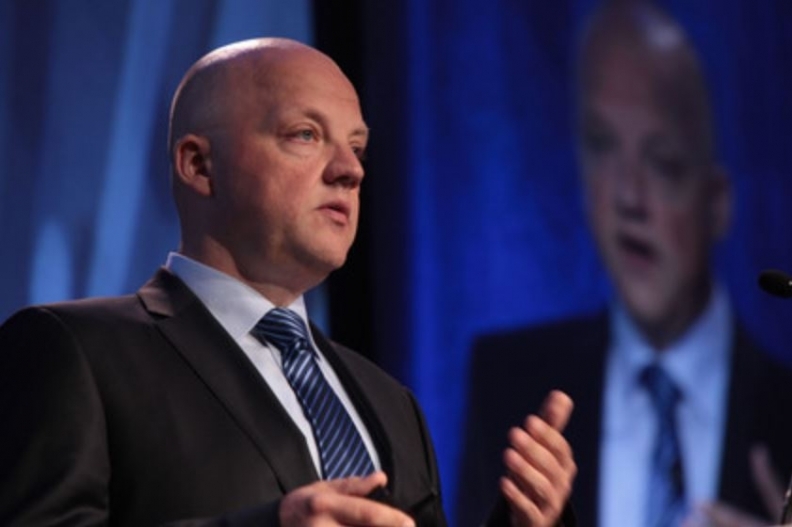 Schmidt was previously responsible for overseeing U.S. emissions compliance for VW and was the lead executive from 2012 to 2015 of VW Group of America’s Engineering and Environmental Office in Auburn Hills, Michigan. In the position, Schmidt sought EPA certification to keep VW’s diesel engines on sale in the U.S.
Schmidt's employment status with VW is unclear. At the time of his arrest, prosecutors said in court papers he was still employed by the automaker. In court, Schmidt attorney DuMouchel argued that his client’s German citizenship was not enough of a threat upon which to continue to incarcerate his client. Germany’s constitution prohibits extradition of German citizens to other nations to face criminal charges. Assistant U.S. Attorney John Neal countered, however, that were Schmidt able to escape to Germany, his potential sentence there might be 10 years, instead of the potential 169 years he faces under U.S. law. “I think the most significant characteristic [for] Mr. Schmidt is his limited ties to this jurisdiction and his country. Mr. Schmidt has very little to keep him in the United States. We’re talking about someone whose life, his employment, his professional and personal existence is in Germany,” Neal argued.